The 93 M Individual Protective Suit is a composite clothing system consisting of a 100% cotton based SARATOGA™ highly activated carbon filter layer manufactured by BLÜCHER GmbH and a treated outer fabric. 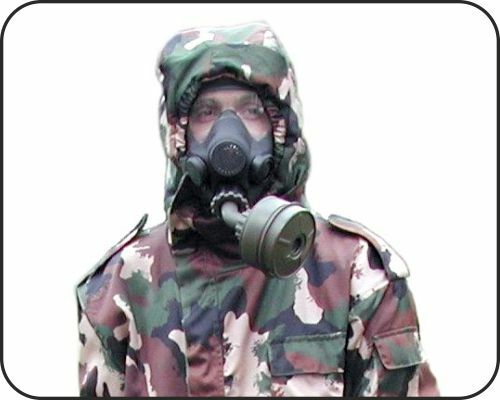 The capacity of the extremely hard spherical absorbers (200gr/m2) combined with a suitable outer layer provides the wearer with the best protection against the effects of chemical warfare agents and other toxic substances in gas, vapour or liquid form. Its protection capability against CW gases has been proven in many tests carried out by TNO and meets the NATO requirements. 93M is the Hungarian version of ARFA, developed by GIAT Industries and adopted by the French armed forces. The mask is equipped with a 40xl/7 connection thread to the filter, a voice transmitter and a drinking device. 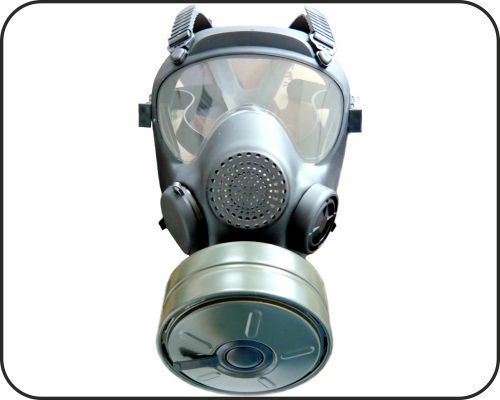 The body of the mask and the visor assembled with it is made of polyurethane, resistant to the aggressive agents and meeting the chemical protection and combat requirements. Available in four sizes the mask provides a very good airtight seal for different face shapes and insures good comfort for at least 24 hours, without causing stress. 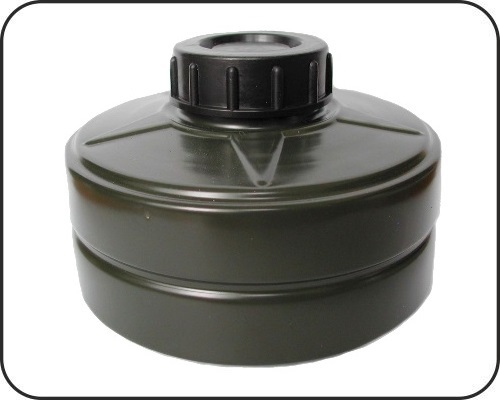 The 05 M NBC filter was developed in accordance with the NATO Triptych requirements for use against military chemical warfare agents /hydrogen cyanide, cyanogen chloride, chloropicrin, sarin, phosgene etc./. It's fitted with High-Efficiency Particulate Air /HEPA/ particle filter and a standard connection to EN 148-1 and STANAG 4155 requirements. It's intended for use with full face mask. 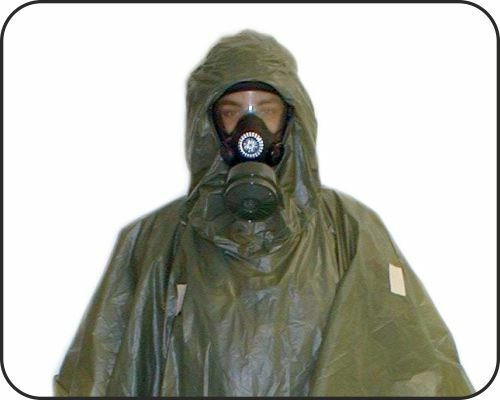 A disposable, C-proof plastic splash cover, for instant protection and complement to ordinary charcoal combat suits, if drops of Chemical Warfare Agents are being spread from height.